Meanwhile, in medium bowl, mix artichokes, mayonnaise, red pepper sauce and 1/4 cup of the cheese; set aside. Using wide spatula, flip crust over on foil so uncooked side is down. Spread artichoke mixture over crust. 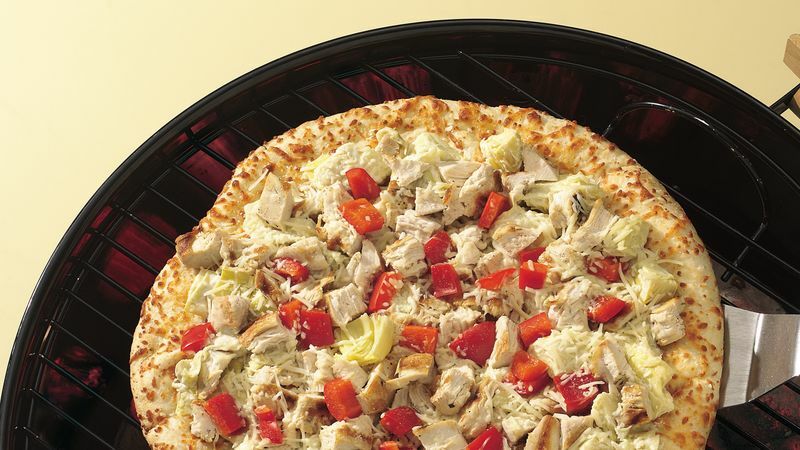 Top with chicken, bell pepper and remaining cheese. You can substitute leftover grilled, baked or rotisserie chicken for the frozen cooked chicken in this recipe. Use about 1 1/2 cups chopped cooked chicken.